"I've been poor and I've been rich. Rich is better!" Multiple Ways To Bring In Income? Here, you can find information on these topics that you can find nowhere else! Can you really afford NOT to know it? Click on one of the links above to check it out! 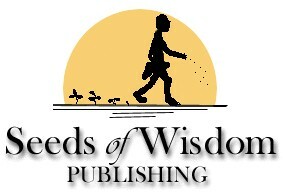 Contacting Seeds of Wisdom Publishing. Email: [email protected]. Telephone: +61 4 1955 0447. Address: 20 Fernbank Cres, Mulgrave, VIC 3170, Australia.